Your ecommerce store can have the strongest product lineup in the world, but if few people are visiting your website, your revenue stream will never rise above a trickle. Achieving success in online sales is all about driving enough of the right traffic to your web store consistently. How? Part of the challenge is connecting with potential customers in a way that motivates them to visit your store, or at least remember your name for future reference. Ecommerce content marketing can take your overall marketing strategy to the next level by providing genuine value to customers, establishing thought leadership and resonating with members of your target audience. Furthermore, content marketing costs 62 percent less than traditional marketing while generating approximately three times as many leads. Here are four key components to leveling up your e-commerce store’s content marketing strategy. Your customers should always remain the focus of your content, end of story. In order for content to resonate and serve a purpose, it must align with the wants and needs of your target audience. Hence, you must have a firm grasp on who constitutes your target audience before you even start creating content. Start by understanding the demographics of your buyers. Many companies find it helpful to create buyer personas, or “fictional and generalized representations” of your target audience for SEO and sales purposes. For example, using data analytics you may discover the target audience of your cosmetics company is primarily women aged 18 to 24 who live in major cities. So, you could create a buyer persona named Sophie, a 22-year-old recent college graduate living in Los Angeles. You can then think of your content in terms of how it would appeal to Sophie, which is often less daunting than trying to appeal to an entire group of people. Promotional content tends to be very boring, to put it bluntly. People are seeking stories, not bland marketing content. Figure out how to motivate people to engage with your brand through truly creative content—one that invites potential customers to follow along on a journey. For example, you could let an influencer take over your social media platforms for the day, enabling your audience to follow along in their footsteps. Another example would be telling your brand story in the form of a heartfelt blog post—highlighting how your company began, its values and any fun facts potential customers might not know. These examples aim to foster connection more than they aim to inspire people to buy products right now. 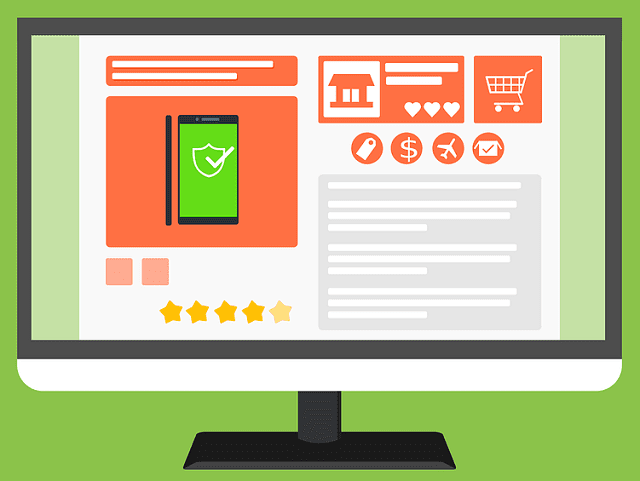 Who’s visiting your online store? What are they doing once they get on your site? Your cloud ecommerce software holds the key to unlocking meaningful data insights, which in turn will help you refine your content marketing strategy. Consider traffic sources, on-site behavior and device usage to optimize the interplay between your content and your website. Do you have employees? Then you’re sitting on a goldmine of content. Involving your employees in your content marketing strategy can help build trust with your audience. These “internal thought leaders and subject matter experts” likely have plenty to share with potential shoppers—the key is harnessing it into effective formats. Think of the “staff picks” section at a bookstore. People browsing the shelves or website tend to trust staff members to make solid recommendations precisely because they work closely with the books and understand the industry. Above all, centering your ecommerce content marketing strategy around your audience will help you create genuinely valuable content that converts. Take your ecommerce sales strategy to the next level by getting creative, getting to know your target audience and getting your employees involved. I hope you enjoyed this article about utilizing ecommerce content marketing strategy to boost sales and success. Interested in more articles about e-commerce sales?